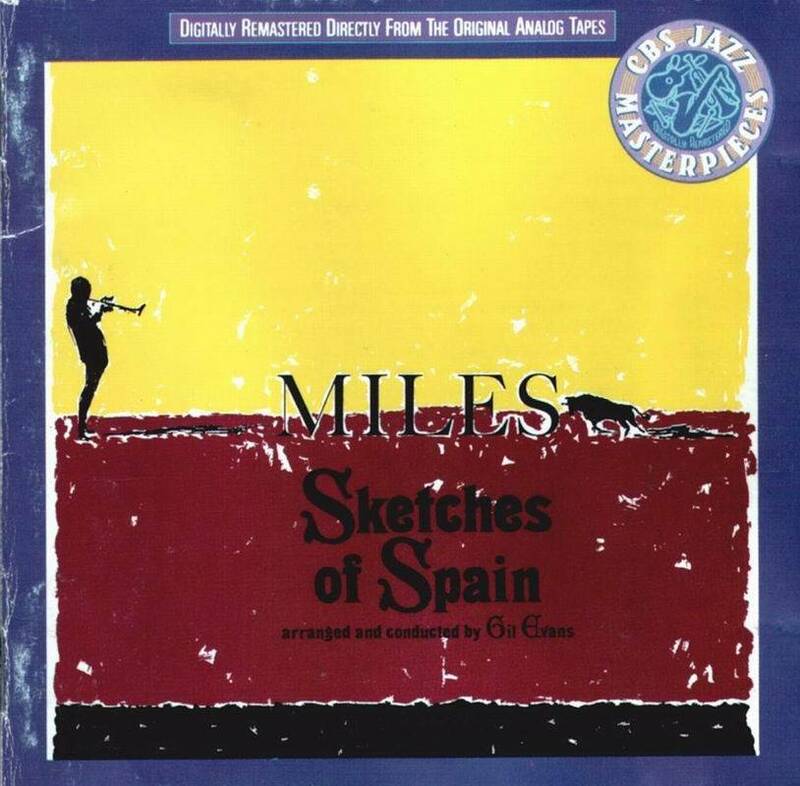 A number of years ago I bought a CD – Miles Davis: Sketches of Spain, released by Columbia Records. It’s a wonderful recording which starts out with a fantastic interpretation of Concierto de Aranjuez by Joaquín Rodrigo. I probably first listened to it back in the 90’s when I first discovered, and fell in love with, the music of Miles Davis. Fast forward a number of years to somewhere around 2004: my love of CD’s as the format of choice had completely died, supplanted by storing my music on hard drives. Around then I decided to rip my entire collection of CD’s – in and around 600 albums. However the CD case for Sketches of Spain contained no CD! I looked everywhere for it but deemed it to be lost. Every once in a while I’d remember the album and check my digital collection to find it wasn’t there, and I’d move on. Yesterday after listening to a couple of Miles Davis albums (it had been a while), I decided to rectify the missing Sketches of Spain issue. My first stop was Emusic, with whom I have a subscription which provides 100 track downloads a month for €30. As far as I can tell all Columbia Records releases are absent from Emusic, no doubt due to lack of DRM or some such. I then searched on Amazon’s music store. There was indeed a digital version available, however apparently due to licensing restrictions I can’t buy mp3’s from Amazon UK unless I’m in the UK. The thought occurred to me that I could run my net connection through a variety of proxy connections but it’s such a pain that I couldn’t be bothered. Buying a physical CD release really wasn’t an option in my mind – I’m fully digital now from purchase to speaker – and the fact that I’m living in Cambodia makes purchase of a CD even less likely! So I turned to Google and searched for “buy miles davis sketches of spain flac download“, figuring if I’m going to buy it online it may as well be in a high quality lossless format. First result: The Pirate Bay 1. Next 9 results: All torrent or similar illegal download links. What did I do: I downloaded it illegally of course. Columbia Records, or their parent company, have obviously decided that it’s most important to protect their music catalogue by making it difficult to purchase online. Perhaps they have an exclusive deal with iTunes for worldwide purchases, but I’m not an iTunes user and don’t plan to be. Whatever their reasons, by confounding my attempts to make an official purchase they actually guided me into the temptation of downloading their music illegally. I don’t feel in any way bad about it, considering that I originally bought it and lost it – so I’ve paid my money to Columbia. However I was willing to pay for it again, but instead torrents offered me a simpler option and provided the music at a higher quality than I would have received from most online music stores. Pay for illegal music downloads? Basically, music labels need cop on and get with the times. Stop condemning your customers as criminals while not providing an avenue for said customers to be legitimate.